A former staffer at The Washington Post and recipient of an honor in the F. Scott Fitzgerald Centennial short story competition, J.A. Jernay has begun to carve out a compelling niche in publishing: the travel mystery. And since every good series needs a hook – letters, numbers, baked goods, you name it – Jernay has chosen one that is near and dear to the hearts of many readers. Foreign lands and gemstones. Both are quite familiar, of course. The world has been gobbling up stories about adventurous women ever since the eighteen hundreds, when the first so-called “caged birds” broke free of Victorian domesticity to explore Egyptian pyramids, travel overland to India, or plunge into the Congo. And finding a missing gemstone is, of course, one of the oldest plot devices in the world. What’s changed is that today’s women face a very different set of twenty-first century challenges – alienation, questions of identity, shifted gender roles, and the collision of global cultures. 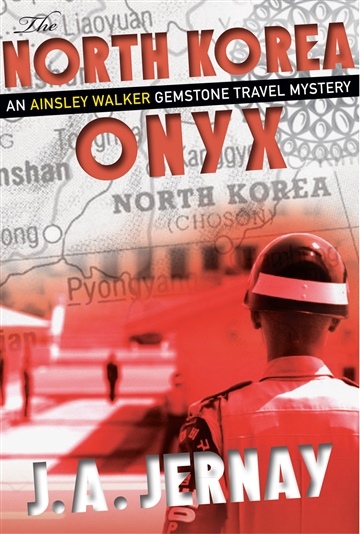 Bringing fifteen years of professional writing and editing experience to the series, Jernay looks forward to sending Ainsley Walker to exotic places in search of gemstones for many years to come.